In general, yes, say shaving experts. Five blades is the current gold standard among razor makers, engaged in a blade arms race. Blade design: Bic’s Hybrid 4 has flexible blades designed to adjust to the contours of the skin. But blade design may be as important as blade count. Bic’s Hybrid 4 razor has four blades which are “flexible,” and designed to reduce nicks and tugging. “You think of a car, each wheel can absorb the shock of a bump in the road independent of every wheel,” says Ed Dougherty, category president of global stationery and shaver for BIC Group. The design is intended to reduce nicks and tugging, he says. Gillette’s battery-operated Fusion ProGlide five-blade razor features thinner, finer blades the brand says glide through hair with less tug and pull, plus a micro comb that guides stubble to the blades and a trimming blade with anti-clogging rinse slots. 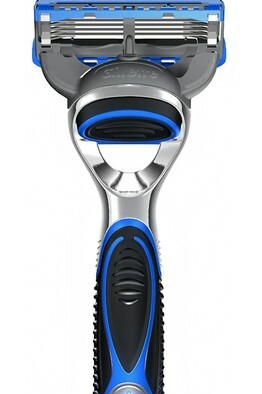 The battery-powered Hydro 5 Power Select razor from Schick, which is owned by Energizer Holdings Inc., features variable speed vibrations and five blades that have “skin guards” over each blade. “The skin guards prevent skin from getting jammed in between those blades,” says Patrick Kane, senior brand manager of Schick Hydro. It does. splash hot water over the face or, if there is time, wrap a towel soaked with hot water around the face. Hot water softens the keratin, a protein, within the hair shaft “so your razor will cut the hair more effortlessly,” says Christopher Harmon, a dermatologist in Birmingham, Ala. 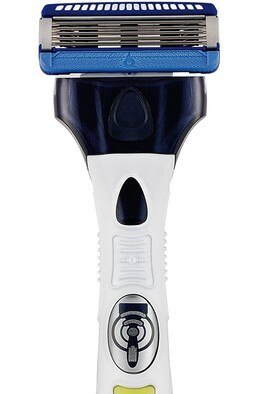 Battery power: Gillette’s Fusion ProGlide vibrates and has thinner blades. Yes. The hot water and the steam help soften the beard. 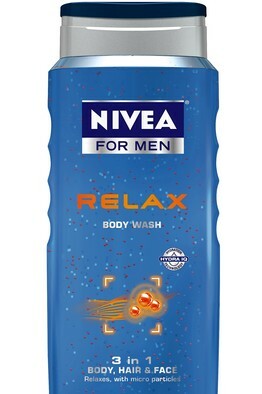 For men who like to shave in the shower, Nivea For Men has a series of 3-in-1 products which contain a shower gel, moisturizing shampoo and a foaming shaving gel. Introduced this year, its Relax product contains more moisturizing ingredients than earlier versions. “Get more done in the shower,” a tagline for Nivea’s 3-in-1 series says. An elaborate pre-shave routine may not be necessary for every skin type. But dermatologists say a surprising number of men don’t even wash their face, which removes dirt and oil and results in a better shave, before putting on shaving cream. Kiehl’s, an upscale cosmetics brand, launched a combination shave gel and face cleanser this summer called Facial Fuel Sky Flyin’ Foaming Multi-Gel after hearing from men who didn’t want to do multiple steps, says Kiehl’s president, Chris Salgardo. The gel also contains a form of ginseng, to minimize redness and irritation after shaving, he says. Battery power: Schick’s new Hydro 5 Power Select can vibrate at different speeds. Yes. Creams and gels with aloe may be effective at soothing sensitive skin if they contain enough of it, says Susan Taylor, a Philadelphia-based dermatologist. Edge’s Sensitive Skin with aloe is its top-selling shave gel. Men should avoid shaving creams with alcohol, which can dry skin. And, “there is no evidence that topical vitamins are effective, except perhaps some forms of vitamin A,” Dr. Taylor says. It depends upon whom you ask. Israel Leon, a master barber with Gillette’s Art of Shaving, which operates salons and has a line of products, recommends applying shave cream with a lather brush, as the brush’s bristles can coax out the facial hairs more effectively than hands, leading to a closer shave. 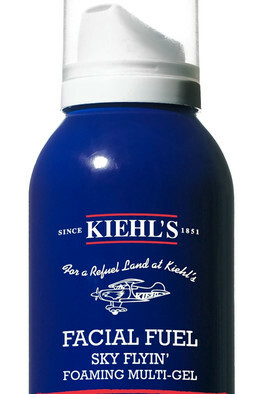 2 in 1: Kiehl’s facial Fuel Sky Flyin’ Foaming Multi-Gel is a face cleanser and a shave gel. Some dermatologists and barbers recommend moisturizing the face before shaving, to soften hair and avoid irritating the skin. Most men “don’t take time to prepare their skin,” says Karen Grant, global industry analyst for beauty at market researcher NPD Group. “They’re not aware they’re causing irritation.” Only 25% of 8,794 men NPD Group surveyed last year used skin-care products. Most shaving experts say to rely on how the blade feels rather than the calendar. If a razor seems to be tugging at hairs, swap out the blade. Yes, but then go against the grain for a closer shave, say many shaving experts. John E. Wolf Jr., chairman of the department of dermatology at Baylor College of Medicine in Houston, says while a man may get a closer shave shaving against the grain, the trade-off is “you’re more likely to get ingrown hairs or irritation,” since this is more likely to tug at the skin, leading to ingrown hairs. Many men have the best luck shaving with the grain for some areas of the face, and against it for others. After the shave: Clinique’s Dark Spot Corrector can treat blemishes caused by ingrown hairs. There isn’t, unfortunately. Affixing a small wad of tissue, as many men have discovered, isn’t much help. And it looks silly. Instead, apply pressure to the nick with a finger for three to five minutes. If it won’t stop bleeding, try an ice cube. 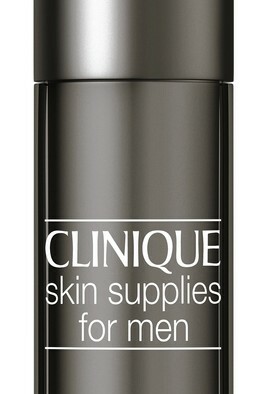 Clinique’s Post-Shave Healer for men is intended to soothe the skin as well as any nicks. Some men use products called alum blocks or styptic pencils, which contain aluminum sulfates, natural astringents that help stop bleeding from small cuts. Not so. New products and strategies can help avoid and treat these inflamed areas, usually more of a problem for men of color and men with curly facial hair. To prevent them, shave with the grain, use a face cleanser and shaving gels that contain moisturizer and don’t pull the skin taut while shaving, says Andrew Alexis, director of the Skin of Color Center at St. Luke’s-Roosevelt Hospital in New York. He recommends a topical vitamin A cream (a retinoid) at night to exfoliate, making it less likely hairs will get embedded in the skin. 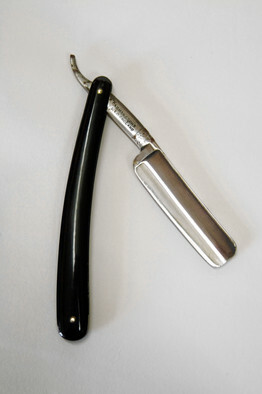 Often used in barbershops or male grooming salons, straight razors are generally considered the sharpest. Different types of razors can give a different quality of shave. It mostly comes down to personal preference, say dermatologists. Often used in barbershops or male grooming salons, these razors are generally considered the sharpest. While they tend to offer a superior shave, they also demand more time and money. This style has a metal handle and permanent head that holds double-edge razor blades, meaning both edges of the blade are sharp. Close shaving can generally be achieved with fewer strokes. These are among the most popular of razors, with a replaceable plastic cartridge usually holding three to five blades. The shave generally won’t be as close as with a double-edge safety razor but better than one with a disposable razor.